IN A NUTSHELL: For me, the others, no....the XLE, yes, a definite possibility. 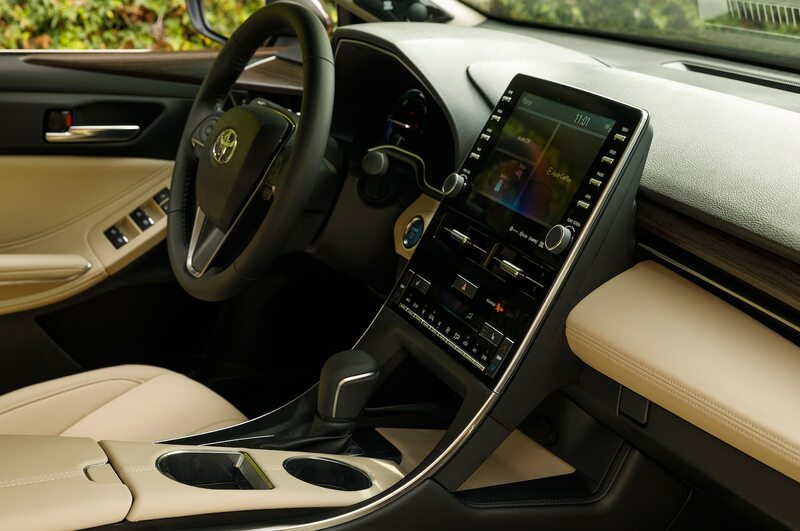 Well, folks, at the suggestions of Jill and a couple of other CL posters, I checked out the new 2019 Toyota Avalon, and did a test-drive. While I was there, I checked on the arrival of the new RAV-4.....should only be a couple of weeks now for the D.C. area. First, I'll state that I went into this with an open mind, although I was not impressed with the huge whale-mouth grille and the ski-jump-type center-stack for the video/stereo/climate functions that I saw in previous images and at the D.C. Auto Show last January (at the show, the doors were opened, but the car was roped-off and inaccessible to the public). In person, up close, the grille was not as ludicrous as it seemed in images, but I still didn't like the ski-jump assembly inside...more on that later. While I did have an open mind (and I know that, sometimes, good vehicles underneath can lurk under ugly styling outside), I was also aware of previous failings with the Avalon, particularly with the last major 2013 redesign....the 2016 mid-cycle update addressed some of those filings. So, I was hoping that the all-new 2019 would be an improvement. So...is it an improvement? Yes...and no. I was also looking at the new Avalon as a (possible) replacement for my Lacrosse in a couple of years, because if GM actually does shut down the Lacrosse and Impala production line at Detroit/Hamtramck, they have probably lost me as a customer for good, as there is nothing else in the corporation I am currently interested in. The Lacrosse and Impala, at GM, were IT for me....when they're gone, without a suitable replacement, I'm gone, too. Other companies don't seem to be joining in the dump-sedan nonsense......they are holding to them, particularly the big comfortable FWD sedans that I prefer, and they stand a good chance of picking up my future business. Four of those sedans are still on my (potential) future shopping list...the Kia Cadenza, Toyota Avalon, Lincoln MKZ (if Ford doesn't can it), and the AWD version of the Genesis G80 (RWD is definitely out for me). Possibly a Lexus ES350 with 17" wheels and 55-series tires, though there are several things about it I don't like. Last week, I checked out the latest Cadenza....nice car, well-built, comfy seats (which are unusual for a Kia product), good materials inside and out...but Kia (to my tastes) messed up by putting the wrong tires on all of the Cadenza versions, which makes the ride a little firmer than I like. The base versions get 45-series; the upmarket versions 40-series. Still, I could live with the ride on the base version if I had to. So...on to the Avalon. The first one I looked at, an XSE model, was enough to almost make me throw up. To my tastes, it was awful. It was clearly sport-oriented, and not only had that enormous blacked-out grille but also a blacked-out interior with mostly cheap trim and hard-surface materials in the places where my my Lacrosse had soft-surface and padded trim. My big rump (while not extremely obese, I'll admit I'm not built like Twiggy LOL) was uncomfortable with the somewhat narrow, sharp-bolstered seats. The glove box door was so thin (as in previous Avalons) that it felt almost like a piece of paper. Worse, when you pushed the little relate-button next to it, the door would not release by itself...you had to grab it and yank it down by hand, and then slam it back up to lock. At that point, a salesperson came out to greet me. I said no thanks, there was no way I could live with this car, and its 45-series rubber didn't help things either. I looked, of course, at several other Avalons. The Limited model clearly had the best interior and trim (TONS better than the XSE)...but was also saddled with the 45-series rubber. Wasn't really interested in the Hybrids, but only the Hybrid XLE had decent 55-series tires....the other two Hybrids (XSE, Limited) had 45s. Then I came to the standard, base-level, gas-powered, non-hybrid XLE version, which, of course, also had the lowest price (this one started at 32K and listed at 37K). It also had the decent 17" wheels and 55-series tires. Hmmm, I thought.....might have something here. I actually did not feel turned off by this one like I had the others. Its interior was not as plush as the Avalon Limited's (or as my Lacrosse's), but was reasonably nice, especially in the light-ivory-colored leather. Its seats didn't make by rump uncomfortable. Its glove box, though of the same design, was the opposite of the one in the XSE...it was too easy to fall down, and you had to take caution to secure it properly. I didn't like the ski-jump design for the center console, or the feel of some of the twirl-buttons on it, but, hey, no car is perfect. Its big, slatted grille wasn't quite as much in-your-face as the blacked out grilles in the Touring and XSE models. The doors all shut with a much more solid thud than on previous Avalons. Yep.....I just might be able to live with this bucket of bolts. So, I gave the rep my Drivers' License for him to Xerox (usually a requirement for a test-drive), got the fob and a test-drive plate, checked the tire-PSIs (couple pounds over, but not far off), and hit the road. Not bad at all. These were the tires that Kia should have put on the base Cadenza....and didn't. Decent ride quality, even by my picky standards. Generally good noise isolation, if not quite Buick Hush-Hush. Reasonably good handling and steering response. Smooth, quiet, peppy, and refined drivetrain. Toyota, in most of its products, typically excels in drivetrains. I don't agree with the often-heard complaints in the forum that their engines are too old, lack power, or are out of date....that's one reason why they are usually perfected, and can often go 200K or more miles without major problems. Yep......here is a definite possibility for my next car. The video, Driver-Info, and infotainment systems on the dash were difficult to use (more so than in my Lacrosse)...but unlike with my car, virtually all the climate-control functions can be done with real *****/buttons (and smooth-working ones, too) without having to go into the video screen to start with. The radio functions are mostly in the screen, but, once I get those set up and operating, I usually have the same four or five set all the time, and rarely change them, as I listen to mostly local news (WTOP), NPR/Congressional hearings, Christian music, and some talk-stations. So, one set, I usually don't play with the stations. So, here's definitely one possible replacement for my Lacrosse. I wouldn't have said that about the previous-model Avalon...and I can't say that about the other present versions of the new Avalon. But the new XLE model....yes, definitely a possibility. Now, just watch the Toyota marketers turn right around and cancel the XLE model next year LOL....just kidding, at least I hope so. And, as always, Happy Car-Shopping. Last edited by mmarshall; 12-04-18 at 06:35 PM. So see? There are still comfortable nice riding sedans out there. And I would have encouraged you to have an open mind and drive one with the 45 series tires and see what you thought of the difference. Just because you had one experience in the Cadenza doesn't mean you would have had the same experience in the Avalon. My LS460L has 45 series tires, and it rides incredibly. My LS460 had 50 series tires and did not ride as well, longer wheelbase and air suspension no doubt play a role in the difference. Just don't fall into the trap that "anything with 45 or smaller aspect tires will ride poorly", thats just not the case. There are also variations of brand and model tires that have a big impact too. Yes, I'm aware of that. But the ONLY 45-equipped car I ever I sampled that I ever really liked the ride on was the 2Gen Hyundai Genesis 5.0L. For some reason, its G80 3.8L AWD replacement wasn't quite the same, but close....perhaps (?) because the AWD version I sampled, and its extra drive shafts and hardware, added unsprung weight under the suspension. I'm don't totally remember, but I think that the last LS460 I sampled had taller profiles than that...it was definitely older than yours. I also prefer 55s over 45s for pothole/impact protection, not just ride. Alloy wheels and tires on new cars can be quite expensive to replace. That is why some dealerships are offering road-hazard insurance as a dealer extra. My brother, for example, bought that insurance-package with his 2017 Kia Sportage SX (45-series tires) and has already had to use it once, to replace one of the tires when a nail nigh up on the sidewall took it out....can't do a plug or a patch on a radial tire when the puncture is above the tread line. Last edited by mmarshall; 12-04-18 at 06:49 PM. AWD does impact the ride and how the car feels a little. As for the difference, could have been tire pressure, could have been brand of tires, etc. I replaced my OEM tires with better tires when the car had 360 miles on it, and even then the difference in ride quality was quite noticeable, even comparing brand new tires to brand new tires. LS460s have only ever come with two tire sizes. They have 50 series tires on the 18" wheels and 45 series tires on the 19" wheels. So, it was one of the two. The 19" wheels are more common on later model years than they were on earlier versions. I've had multiple cars now on 45 series tires and I've never suffered a pothole tire failure or wheel damage, and I've hit some big potholes. Also, remember that the thickness of the sidewall depends on the width of the tire, so not all 45 series tires are the same, some may have thicker sidewalls than 45 or 55 series tires depending on the tire width. Your brothers usage of his tire warranty had nothing to do with the aspect ratio of his tires...a nail through the sidewall is going to ruin any tire, 30 series or 60 series. Believe me, you would love the way my car rides on 45 series tires. Yes, I know....I was talking about the road-hazard warranty being useful, not comparing a pothole to a nail-puncture. I'd hope so. A new LS doesn't cost 80-90K for nothing. Personally speaking. I think the whole argument about series size of tires is overblown. There is more to nice ride than just the tire and rim size. To be fair, rim size has a big impact (no put intended), and its hard to engineer that impact out. Higher sidewall tires have more cushion to iron out road irregularities before they make it up into the suspension, and to take the edge off of sharp impacts like expansion joints and potholes. If you drive the same car on different size wheels, you'll always feel a difference. For instance, no doubt that my LS would ride even better if I put the 18s on it and the taller sidewall tires. Its just that it rides so well as it is I don't think its worth trading off the better looking 19s. Not in my experience. In my many years of test-driving many different vehicles, my tactile-senses have become very attuned to and sensitive to exactly how a vehicle drives/feels, even to minute differences in some cases. There are some exceptions (such as the one I gave Steve, above), but, all else equal, if you put me, blindfolded, into the same car with two different-size tires on it, riding in the front passenger's seat, I could usually tell you which tires were on which car. If I was driving, of course, I wouldn't be blindfolded, but, still, without looking at the tire, could usually tell you which was which, not only from the ride but also the steering response, and, in some cases, the amount of road noise. Noise, though, might sometimes also vary wth tire-brand as well as size....that would be harder to determine if you were blindfolded. When I was a teen-ager and young adult (60s/70s), unlike today, there were more pronounced differences between vehicles and vehicle brands in how the engine sounds, transmission shifts, the noise the exhaust makes, the noise that the starter makes, the amount of road noise you typically got, the way the interior trim felt, and the differences between the way the Chrysler torsion-bar/leaf suspension performed vs. the way that the coil-spring Ford and GM vehicles did. Back then, blindfolded, I could often tell you what brand of vehicle it was from noise and feel alone. Ford Mustang V8s, in particular, had a nasal-sounding exhaust that was unmistakable....as was the high-pitched whine of Chrysler starters. Last edited by mmarshall; 12-04-18 at 07:41 PM. I agree. However, an OEM set up can be very good with larger rims. My parents ES350 rode far stiffer on 17s than their new Avalon which are 18" with 45s. Their new Avalon has a much more pleasant ride. The impact on ride of the tire's aspect is usually pretty significant, Jill. Low profile tires, particularly when coupled with larger rims, will always aversely impact ride, Smaller rims with higher aspect ratios will always deliver the most comfortable ride. Other things obviously impact ride too, but for any given shock/spring combination the lower the profile the worse the ride - with worse in this context referring to the impact on ride due to the transmission of road imperfections etc. Not always. My parents new Avalon rides fare nicer than their ES with smaller rims and larger series. The suspension also has a lot to do with it. My 4Runner with 65 size tires does not ride as nice as my 55 series tires and 16" rims on my Corolla. Yet my 4Runner rides nicer than my Matrix which both have 17s. Brand and quality of tire also has a role. My new Michelin tires are firmer than my outgoing Good Years. Last edited by LexsCTJill; 12-04-18 at 07:34 PM. No doubt, they designed this gen Avalon (and ES) to be softer riding than the previous car. That softer suspension makes up for the difference in sidewall height. Thats why I said to mmarshall he can't use his experience with the Cadenza and project that experience onto the Avalon. Different cars, different suspensions. If you put smaller wheels and taller sidewall tires on their Avalon, it would ride even better. Thats why even with my experience with the LS I cant say the 19s don't impact the ride. My 15 on 18s was a SWB and coil suspension, my 17 on 19s is a LWB and has the air suspension. Not apples to apples. 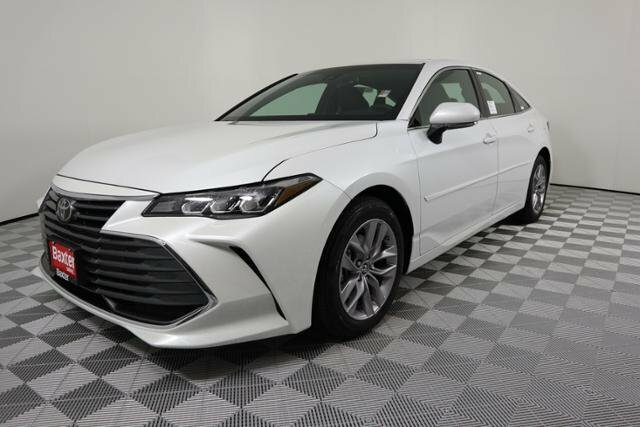 my problem with the avalon is that it really just isn't that much more special than the camry, there's really nothing about it anymore to make me want one over a camry xle v6. the avalon used to be a step up from the camry in comfort and especially rear leg room, but now not so much. now it's a step up in ugliness. i do like seat memory and seat ventilation though... the camry has neither, but it's a camry so it's sort of not supposed to. If you drive the same car on different size wheels, you'll always feel a difference. For instance, no doubt that my LS would ride even better if I put the 18s on it and the taller sidewall tires. Its just that it rides so well as it is I don't think its worth trading off the better looking 19s. Absolutely.....see my reply to Jill, above. No formalities here.....you don't have to call me mr. We're all equals.